My Thursday infographic this week comes from Schools.com. 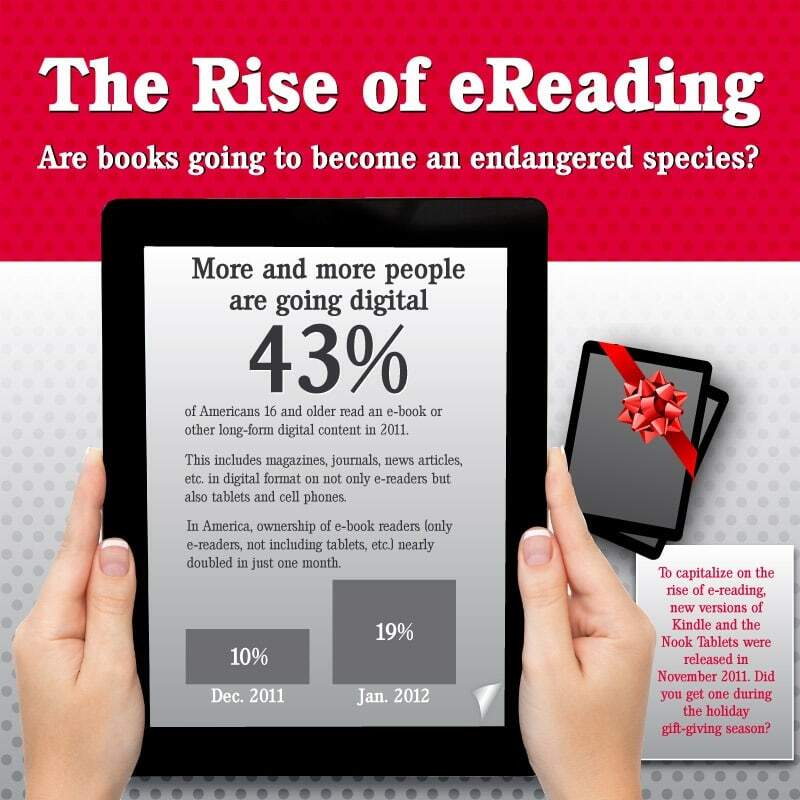 As you can tell from the name, it chronicles the rise of ebooks. It draws information from the April 2012 Pew survey, statisticbrain.com (now that is an interesting site), and others. To be honest nothing here is new; it's just arranged prettily. But pretty is the point of infographics, isn't it?